I hated radishes until I discovered the local ones I could buy at my Farmer's Market. It seems that many radishes are only as good as the farmer who grows them. Commercially grown radishes can have a musty or woody flavour in the centre, yet the organic beauties I had were as sweet, crunchy and juicy as a crisp apple. Do yourself a favour and check out your local Farmer's Market to see if you can find an organic farmer that specializes in growing these powerful detoxifiers. Have you come across black radishes? While at the market, I picked up some black radishes... because they’re even healthier. If you give them a try, keep in mind that they pack a punch similar to horseradish! So, it’s a good idea to use them in smaller amounts to help keep your meal's flavours balanced. 1. A radish’s red colour comes from the red plant pigment, anthocyanin. 2. 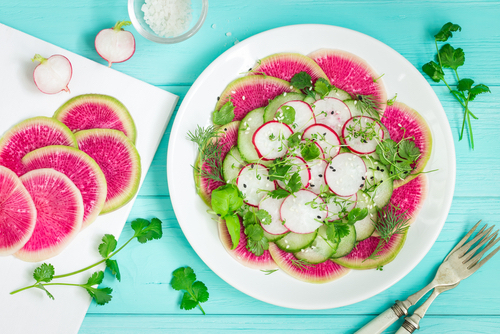 Radishes are part of the cruciferous family which provides a unique molecule called, indol-3-carbinol (I3C). 3. Radishes are an excellent source of potassium. Potassium supports proper fluid balance in your body by acting as a diuretic, in opposition to sodium. Symptoms of a sodium/potassium imbalance include swollen ankles or fingers, extreme thirst and irregular heartbeat. A long-term fluid imbalance like this can contribute to high blood pressure. 4. Radishes contain a special compound, known as RsPHGPx, that acts as an antioxidant for Phase II liver detoxification pathways. 5. It turns out that black radishes do the best job of assisting your liver with its job of detoxification. 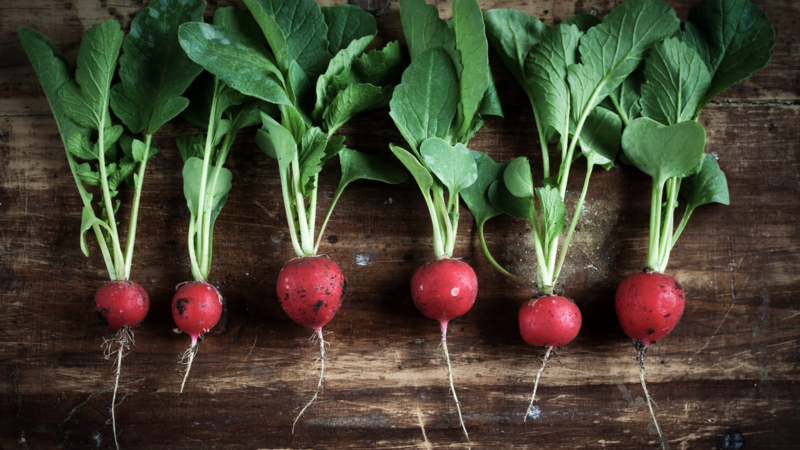 In The Way of Ayurvedic Herbs, Karta Purkh Sing Khalsa and Michael Tierra explain the traditional universal use of radishes to stimulate bile synthesis in the liver. Bile carries toxins into the gallbladder, then on into the small intestine so they can be excreted.